Today marks the start of the second week of school lunch in our house. 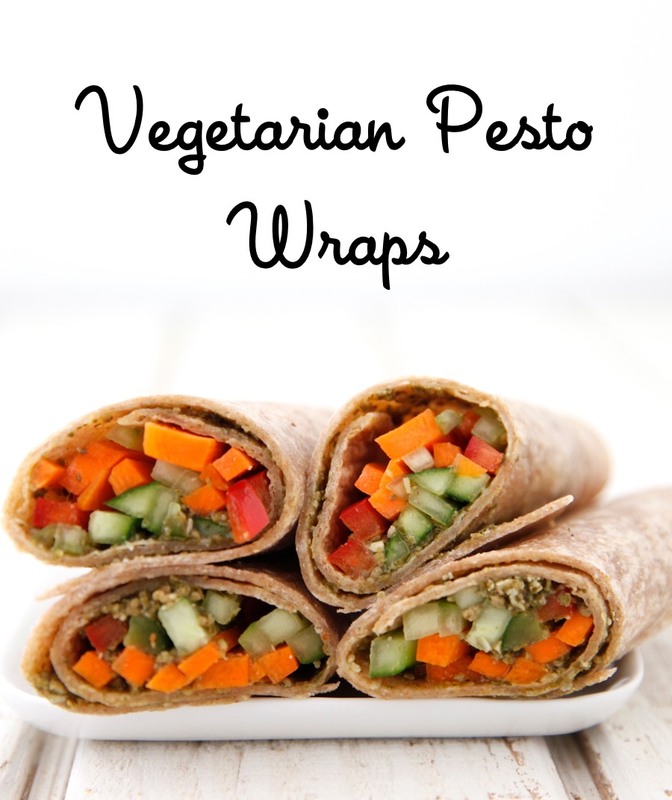 It's also meatless Monday, so I wanted to give you a recipe idea that can fulfill both of those requirements_ Vegetarian Pesto Wraps! We never got to eat the blueberries from our garden since the birds always got to them first, but the bushels of basil growing like weeds outside my kitchen were untouched by our feathered neighbors so I made tons and tons of pesto to freeze in little cubes and save for recipes just like this one. Whenever I offer my kids wraps they're generally completely eaten. They like the ease of being able to hold them not to mention they will eat practically anything that has pesto on it. 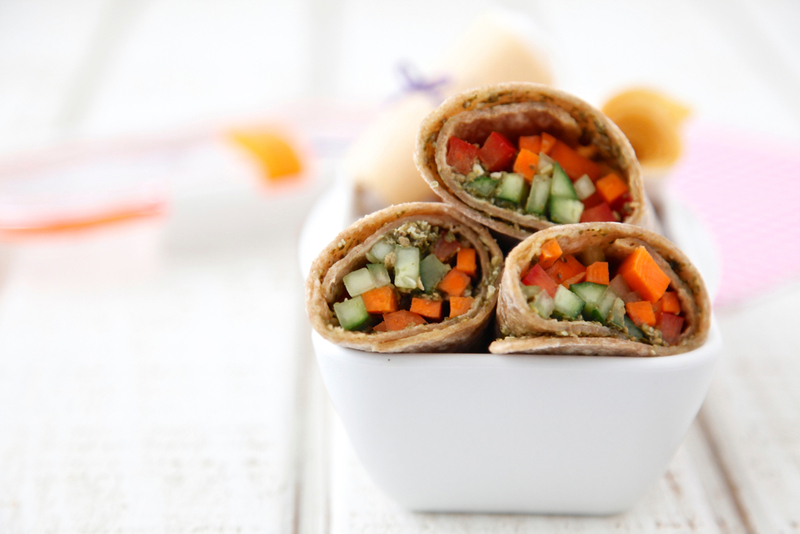 All you need to do is defrost one cube and toss it with some thinly sliced sticks of crispy vegetables like carrots, cucumbers and bell peppers before wrapping everything up in a whole grain tortilla. If your child's school is nut-free you can substitute regular pesto by making a batch of Pumpkin Seed Pesto instead. 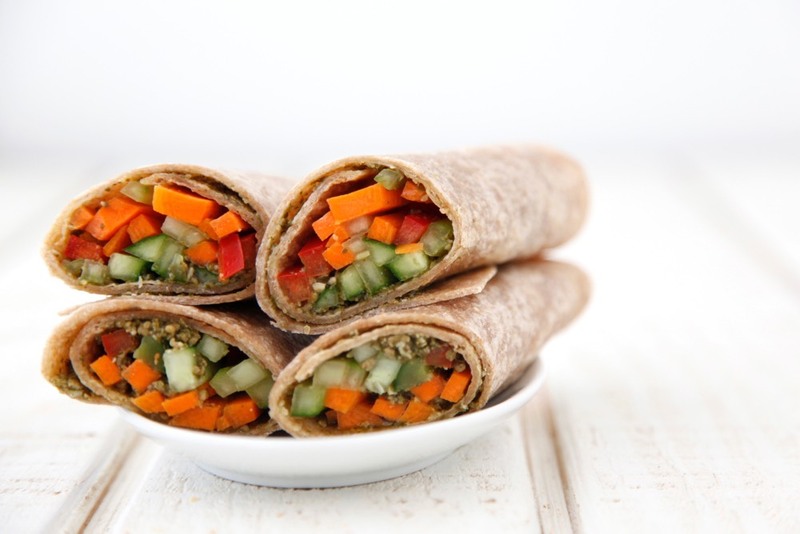 Since this wrap is a complete meal with protein, carbohydrate and vegetables, it's a simple recipe you can feel good about sending your kid with to school. Hopefully you'll make extra and save one for yourself to enjoy as well! 1.Lay the tortillas on a flat surface in front of you, and spread each one with 2 tablespoons of pesto. As always, great idea Catherine! I'll be putting this one in the lunch box tomorrow! My kids tend to be picky about their wraps (silly kids! ), but I would love one of these for myself! 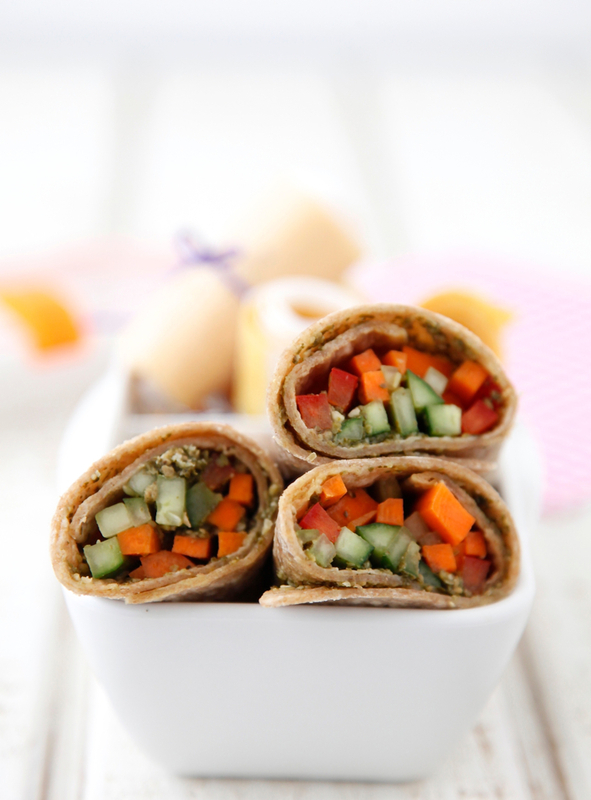 I like how they're packed with veggies and pesto for great flavor! Just a note - if you use real Parmesan cheese to make your pesto,, it won't be vegetarian. It must contain animal rennet in order to earn the title of Parmesan. This is my kind of lunch! So awesome! These are incredible. My kids would love these. Pumpkin seed pesto is the best! 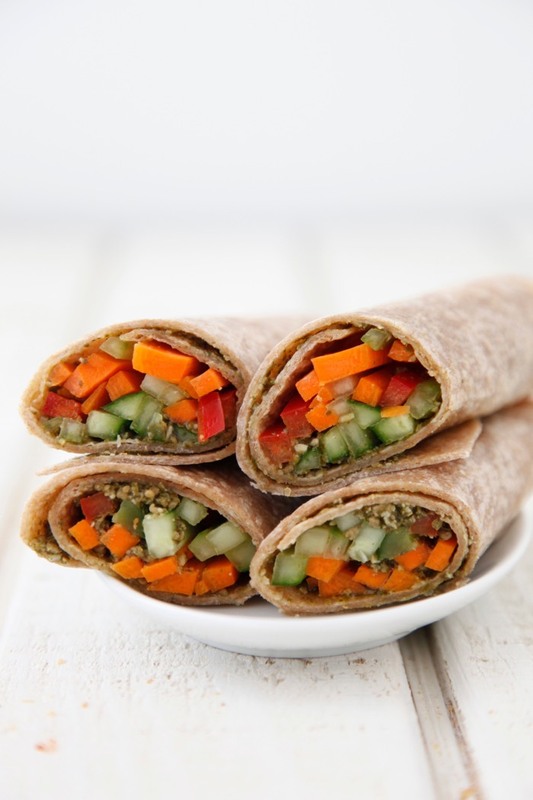 Never mind the kid's lunches - I want these wraps!